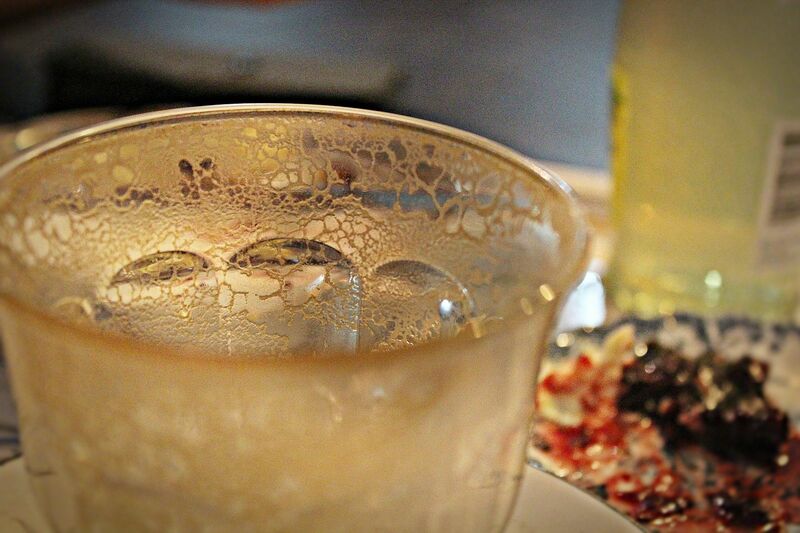 Ever since we got back to Singapore, JW and I have been on the lookout for great cafes. I've heard about Carpenter & Cook from a couple of friends and was pleasantly surprised to find out that it's just a stone's throw away from our home! 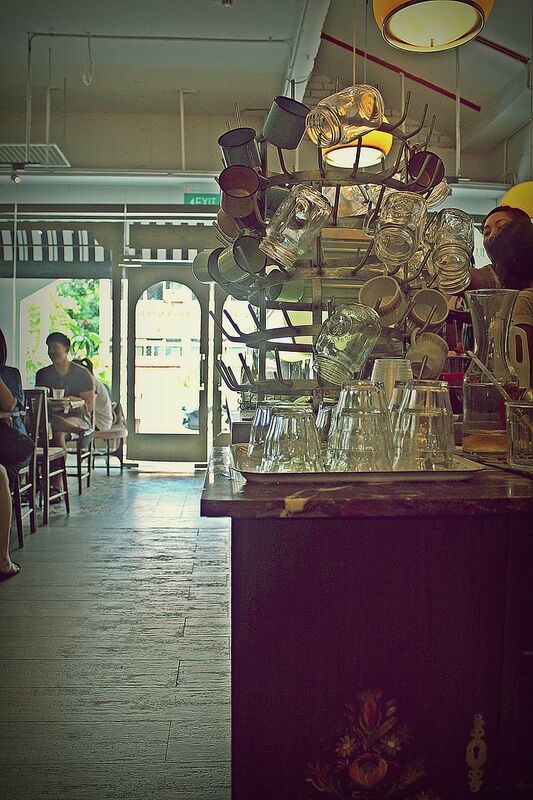 Finally, the cafe culture is starting to permeate the western part of Singapore! I was mesmerized by the decor the moment I stepped in. 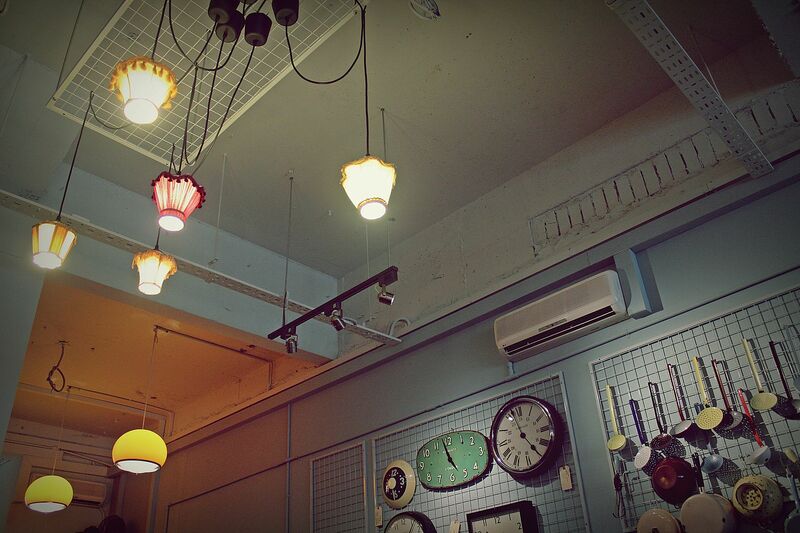 I love retro and vintage items as they've so much character. 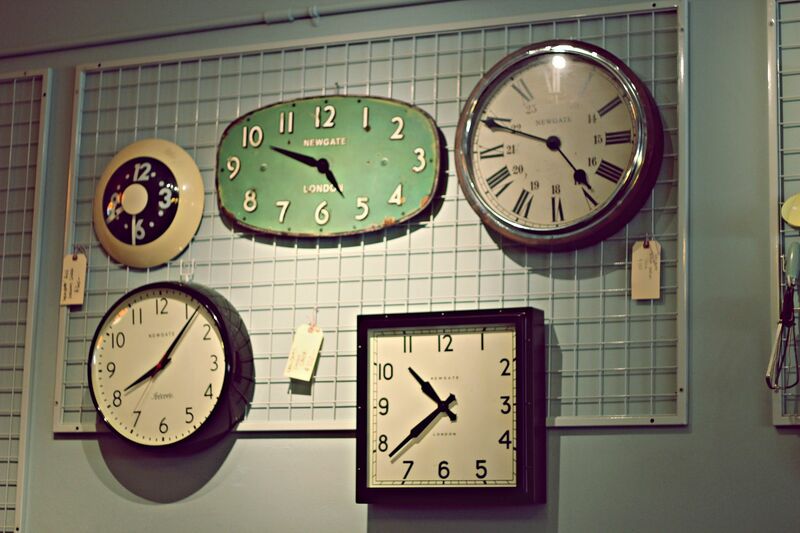 Check out those retro clocks. They make excellent conversation pieces don't they? The best part is, these vintage items are up for sale! 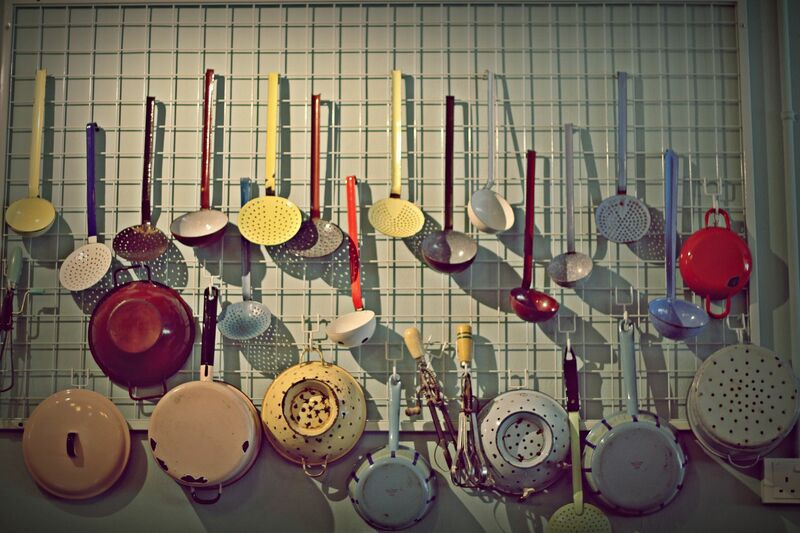 Who would have thought that kitchen utensils could look this good on the wall? I thought this was a pretty novel idea for storing pots and ladles. Now, on to the food! We were a little disappointed with the menu as we were expecting a comprehensive menu or at least one with sandwiches or pies to fill our growling tummies. If you're thinking of coming here for a meal, do note that this cafe only offers pastries and muffins for tea. 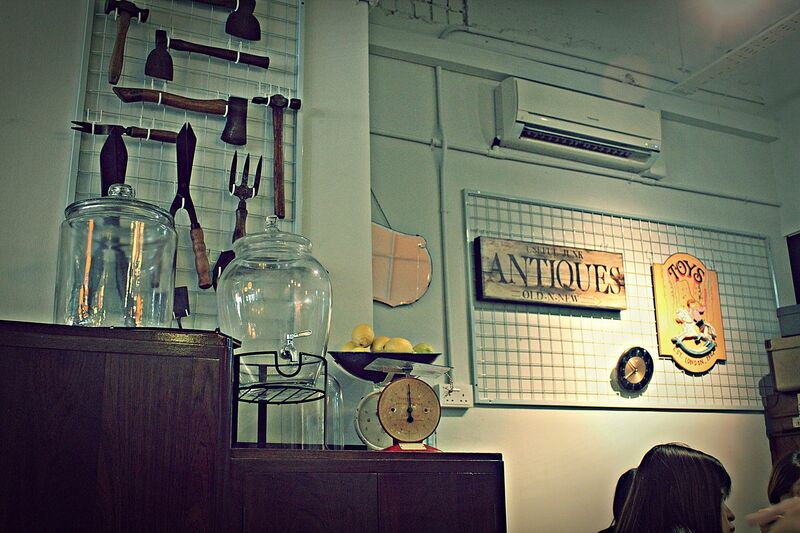 I settled for the scone (S$4) and a bottle of lemonade. 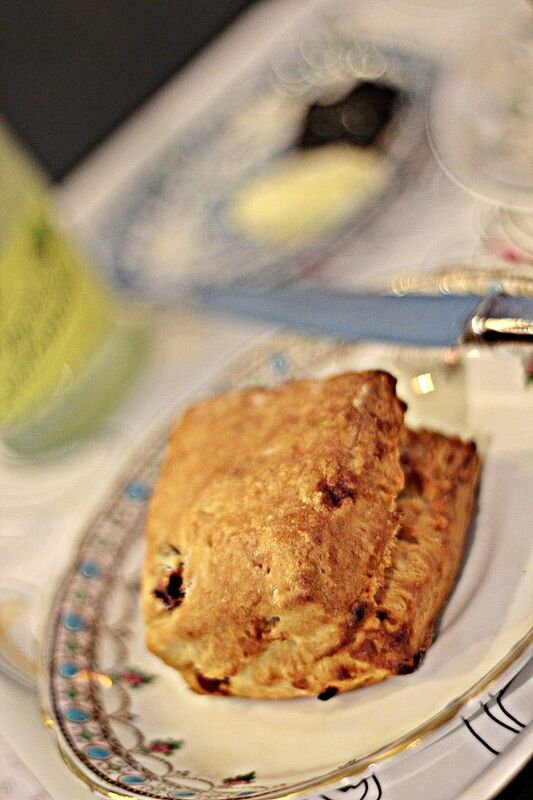 The scone was good! 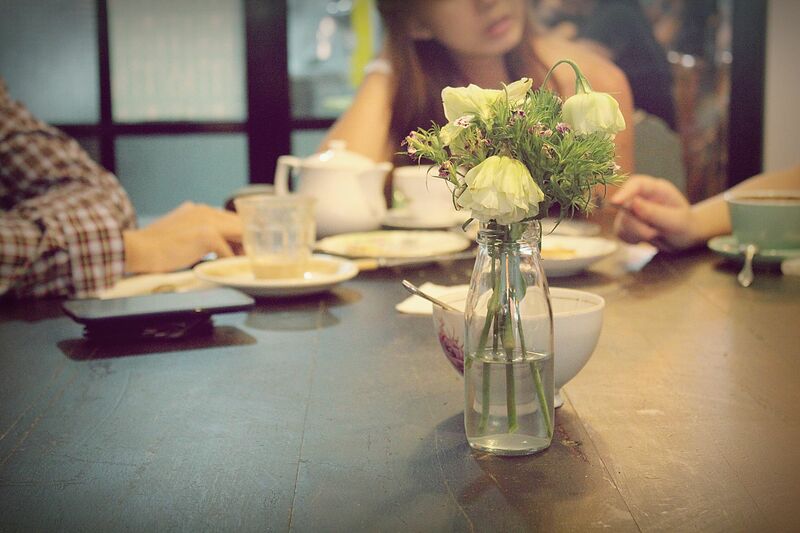 One thing that I didn't quite like about the cafe was the limited seating capacity. They're very packed during the weekend and it's not uncommon to see patrons sharing seats at the larger tables. I prefer a cozier atmosphere where I can chat with friends without having strangers eavesdrop on our conversations, so the lack of personal space didn't quite cut it for me.